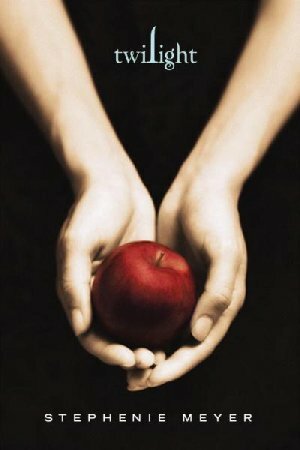 Ashley bought Twilight after hearing that it was awesome from Natalie…and she let me read it first! I finished it today and I TOTALLY get why so many people are obsessed with it…it’s so awesome and so well written. Lovely Bones is still my favorite but this comes in a close second. Of course I quickly fell in love with Edward Cullen! I’m not one for romance novels but this was such an amazing one. Both Edward and Bella have so many one-liners and their sarcastic personalities and crazzzy tension should be interesting to watch when the movie comes to theaters…I’m a little worried about the casting of the characters as they look NOTHING like I had pictured in my mind. But then it is a book and descriping someone as “perfect” is hard to live up to. I have ordered the next two in the saga and can’t wait for the movie to open in November! Hurry and read the book so you will be caught up for the movie! Zach is sick of hearing me talk about it and make vampire references all the time (I know I’m lame haha but I finished it in a week so it’s all I have been thinking about) so when someone else reads it I’ll be happy to talk to them about it! Hopefully our baby won’t be born a vampire after all my reading and thinking! Oh, another thing i wanted to tell you! DO NOT let people’s reactions make you upset. Some people gave me weird looks and even said some stupid stuff when i told them i was pregnant. (luckily, none of these people i care about!) do NOT let anyone steal your joy! i know that is hard to do when you are so emotional, but it will get better i promise. and you and zachs relationship will get better, as hard as that is to imagine!